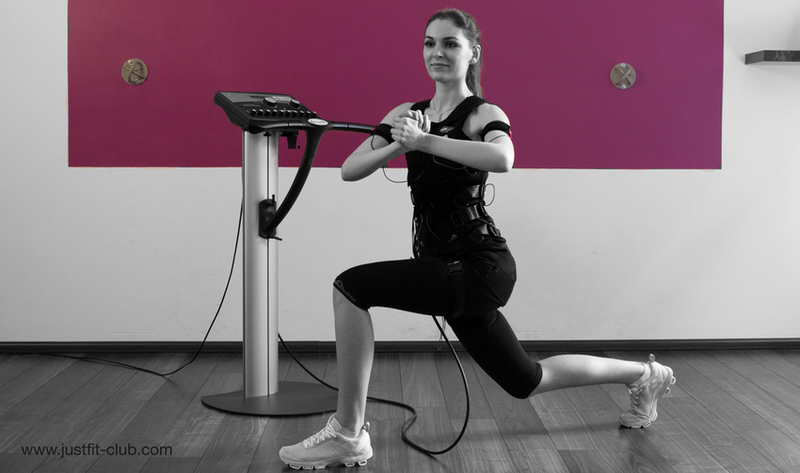 "Two in one muscle trainer and weight loss technology"
Electrical muscle stimulation (EMS), also known as neuromuscular electrical stimulation (NMES) or electro myo stimulation is the elicitation of muscle contraction using electric impulses. 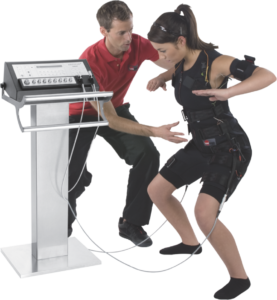 The impulses are generated by a device (a high technology machine called Loncego) and delivered through electrodes on the skin in direct proximity to the muscles to be stimulated. The impulse mimic the action potential coming from the central nervous system, causing the muscles to contract. Average increase of approximately up to 4cm in muscle girth in the whole body in high performance athletes within 3 months - significantly higher than achieved with conventional methods. Whole body EMS increased maximal power up to 30% in sports men withing 4 weeks of training. EMS exclusively achieves enhancement in maximal power with an increase in velocity. Enhancements in maximal power of the abdominal muscles of about 67%. Possible to enhance the explosive force of the core muscles by 74% which are difficult to train. Increase in isometric maximal strength of 8-9%. Endurance performance increase by about 71% and in general performance by 84%. Static strength endurance increase by about 34% after 6 weeks of training while dynamic strength endurance increases up to 108%.